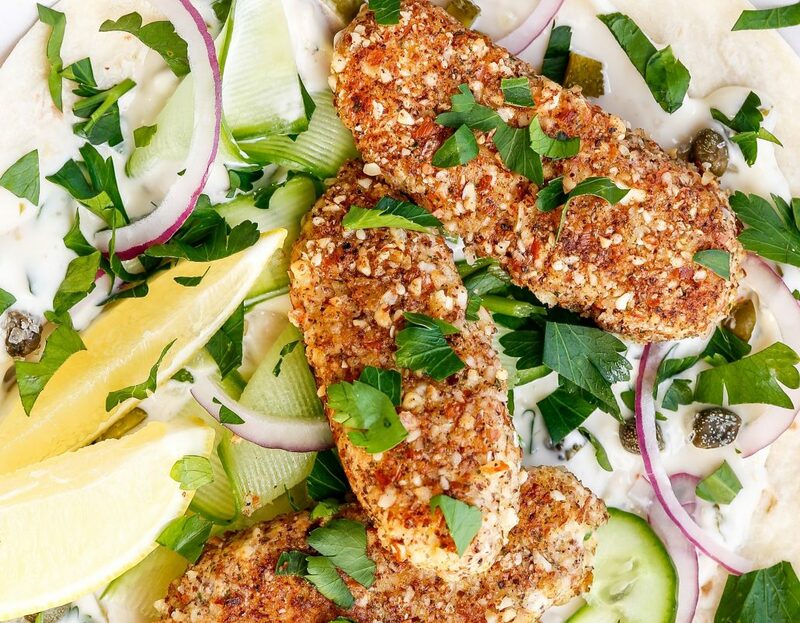 I grew up eating frozen fish fingers from the box, usually just microwaved on a bit of kitchen paper for a quick snack, and while they were delicious smothered in tartare sauce and lemon juice, there isn’t much in the way of nutrition going on there. 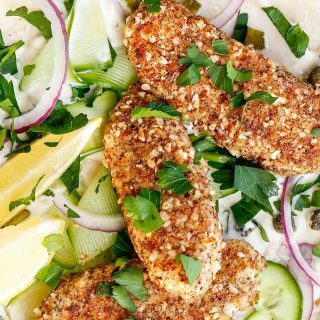 These Fish Fingers were devoured by my kids (and Michael) and made me feel like a pretty good mum for giving them a much more nourishing option. This recipe has Dairy Free, Nut Free, Low Carb, Super Skinny and Low Fodmap variations. Made these tonight, everybody loved them including my 13 year old daughter. She was quite sceptical when she saw them but was very happy to find out there were leftovers for the next day. I made the fish fingers for lunch today and the flavor is mouthwatering. This will be on regular rotation. So easy to make and cooks up and easy 24 + fingers. I hate fish fingers with a passion! You know them horrible packet ones that probably have NO fish in them? But the kids do, so I was super excited to make these, and I was ever so delighted…. they were SUPER delicious and so easy to make! The kids loved them….hallelujah! Bonus….Made extra for the freezer! 10/10 Nic YUM!